Excellent 3.4 Acre Residential Development Opportunity near the Deer Point Dam, west and adjacent to Tom Nichols Road on Highway 2321. This site is noted as Site 7 on the property aerial. 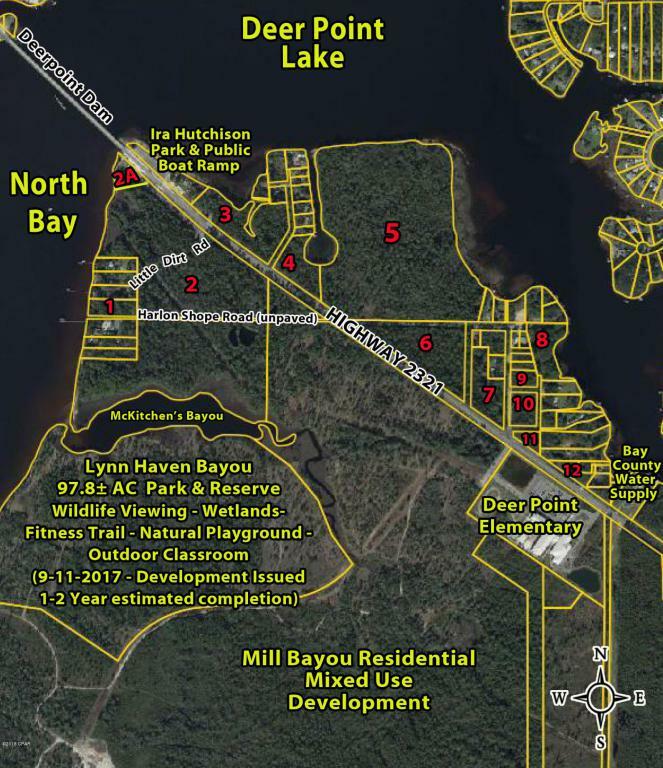 Zoned Agriculture/Timberland (AG-2) in Unincorporated Bay County, rezoning & access to municipal water & sewer would require annexation into the City of Lynn Haven. 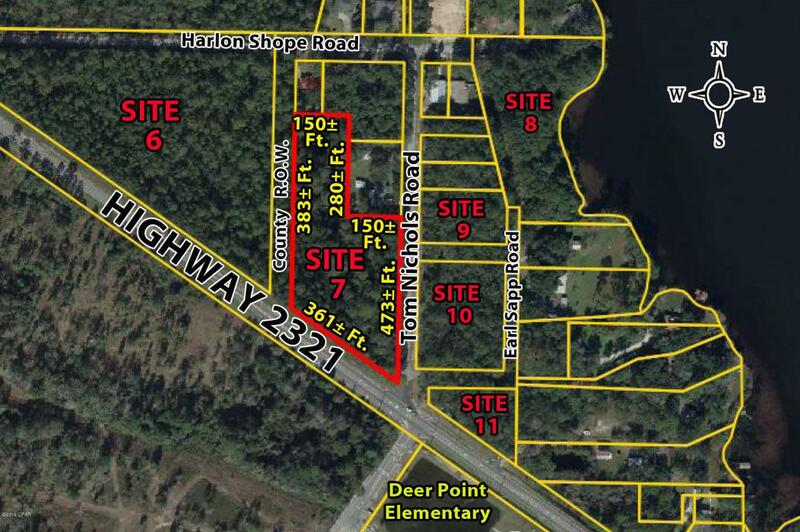 Additional vacant waterfront and interior land parcels available from .72 acres to 130 acres along the Highway 2321 corridor in the Deer Point Lake and North Bay area. 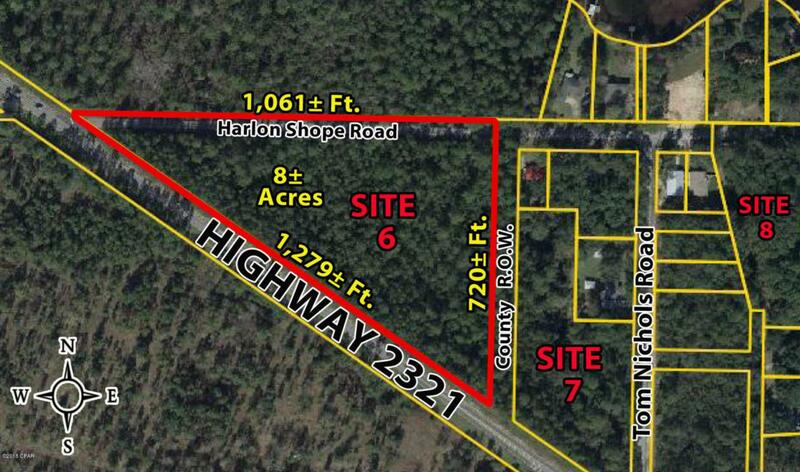 Sites 6 (8 acres) & Site 7 (3.4 acres) can be purchased as a package totaling 11.4 acres for $450,000.